The home battery that allows you to control when to store energy and how to use it was introduced as a Kickstarter project earlier this month. Orison has already earned more than $290,000, and still has 14 days to go. You might have seen other products like the Orison. The Tesla Powerwall, for example, is a home battery that charges using electricity generated from solar panels, or when utility rates are low, and powers your home in the evening. However, the Powerwall requires installation by a trained electrician. You first have to reserve one, then you’ll be contacted to arrange installation. Sounds like a bit of a pain. With the Orison, no installation is required. Just plug in the device and you’re done. The company even offers a 10 year/5,000 recharge-cycle warranty. There are two version of the Orison. Each comes with special features that make the tool even more functional. The wall version has customizable LED backlighting. The tower form features an integrated Bluetooth speaker and has 1.5W USB ports ready to charge your gadgets. Both designs pack in 2.2 kWh with a constant flow of 1.8 kWh. That could power your laptop, AC Unit, and a TV for six hours, as well as a refrigerator for 24 hours a day. This online tool can help you figure out how many batteries you’ll need. 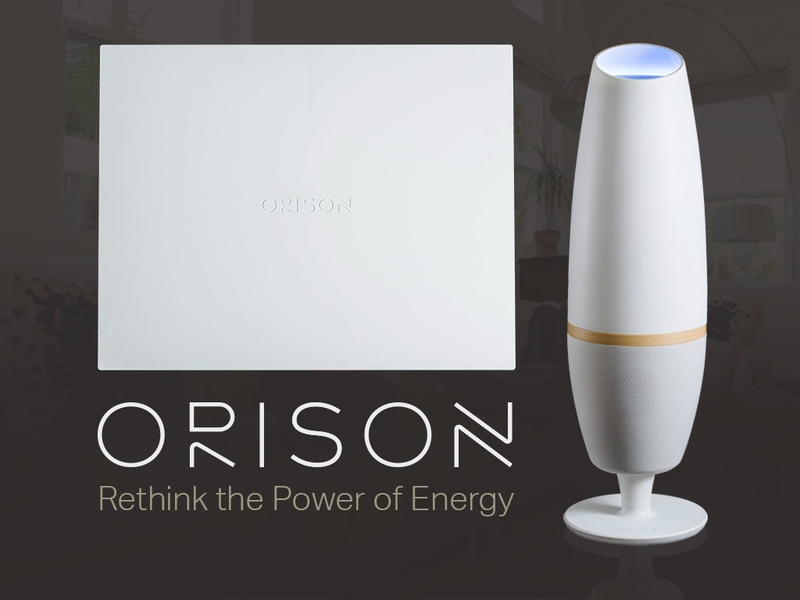 The Orison home battery connects to its own cloud system to figure out which time of day is best to recharge. It consumes energy only when the kWh price is cheaper so that it can store the energy to be consumed at peak hours. The process is completely automatic too. Users can even keep tabs on how much money they’ve saved and see stats from the device. Okay, so there is a bit of bad news. The Orison batteries are not cheap. The wall-mounted version will retail for $1,600 and the tower version will retail for $1,950. If you preorder on Kickstarter, though, the wall panel can be purchased for as little as $1,200 and the tower unit for as little as $1,750. The first units for backers are supposed to arrive early this summer.